November is possibly my favorite month of the year because of Thanksgiving. I go crazy over this holiday and the food. This year I decided that even though the house is still in remodel mode, I was going to decorate. No matter the dirt and dust everywhere, the house was going to look cozy! So yesterday, the four of us went to work on this Thankful Tree. I was so happy with the way it turned out. We have huge, old windows in most of the house. Huge, as in over 65" long! So on the front window over looking our deck, Daddy painted a nice brown tree the length of the window. Then we all chipped in a cut out leaves in Fall colors and wrote who/what we were thankful for this year. I still have a few leaves to mark, but it looks great from the road! I try to give thanks and be thankful most every day of the year, but November helps to remind us that giving thanks is important. Even the smallest gesture should be noticed with a thank you. A small Thank You note to someone makes a huge difference. In keeping with the Thankful theme here, I have yet more bloggy awards to acknowledge and pass on. Karen over at 3 Garnets and 2 Sapphires has bestowed upon me the Rock Star Award. Thank you Karen for passing this award to Izzy 'N Emmy. I think you are a Rock Star yourself and you have the cutest little ones! Stop over to see Karen! Those that receive the Rock Star award stand out. They work hard and you love knowing them. They are unique and one of a kind bloggers! Next up is MammaDawg, who passed along two awards to Izzy 'N Emmy. Thank you MammaDawg for thinking of us! Take a moment to visit MammaDawg! The first is the Proximidade Award. "This blog invests and believes, in ‘proximity’ [meaning, that blogging makes us 'close' - being close through proxy] "They are all charming blogs, and the majority of them aim to show the marvels of friendship; there are persons who are not interested when we give them a prize, and then they help to cut these bows; do we want that they are cut, or that they propagate? "Then let’s try to give more attention to them! So with this prize we must deliver it to eight bloggers that in turn must make the same thing and put this text." Secondly, from MammaDawg, the Kreativ Blogger Award. Thanks again MammaDawg! I love scrapbook Saturday and hope to be back very, very soon! I think all Bloggers are Kreative in their own way, so please, don't be shy, grab this award and flaunt your stuff! 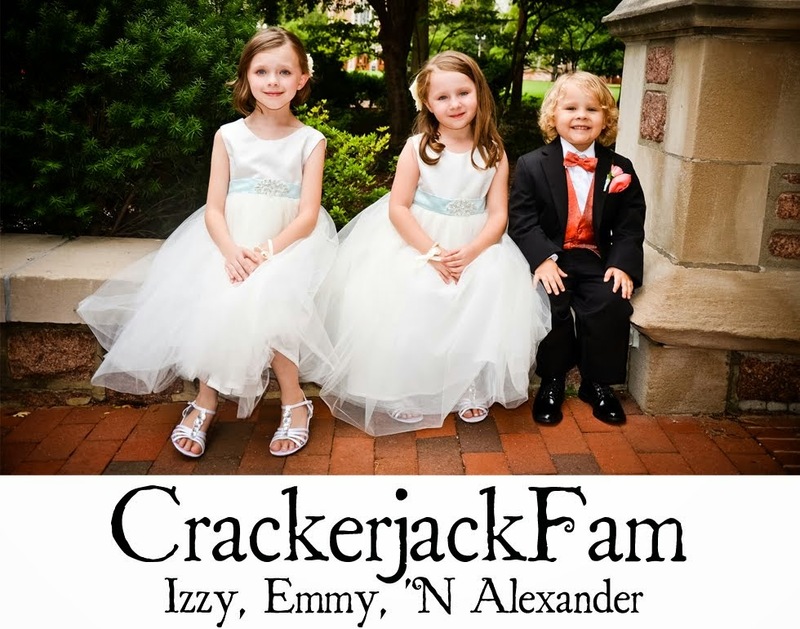 And Finally, Don't forget to enter Izzy 'N Emmy's first give away over HERE. Contest closes at 11:59pm CST on Friday night. First, congrats on all the blog bling! You are so deserving! Can't wait to see what your blog looks like later! The blog looks great right now, not sure if you are done with yet or not. I love it especially the banner. Love the tree....we love ours that we hung on the frig. Did you happen to see it. We made it last year and it turned out so nicely. We will recycle it each year..Tuck kinda go ahold of the bottom of it this year and tore it but it adds character. :)Congrats on all the awards and thanks for handing it down. I still dont know how to post it..we didnt get to that the other night. TOO much guitar hero going on. Congratulations!!! And I love the new look for the blog! Your thankful tree looks great! :) Congrats on all the awards! congrats on all the awards! Thanks for passing that one on to me too! Congrats on all the awards, you deserve them! Thanks for passing one on to me also :). btw, I like your new blog design, the header especially looks great!